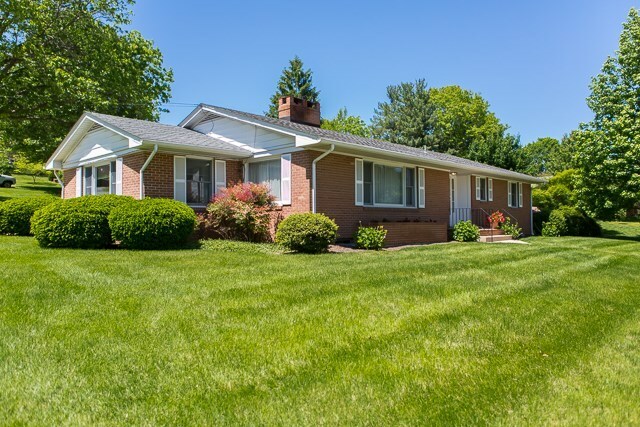 Wonderfully cared for 1966 brick ranch, with over-sized 2 car attached garage. Large rooms, good closet and storage space, lots of windows. Living room has built in shelves and gas fireplace. The eat-in kitchen is large and bright with lots of cabinet space. The very large dining room can also serve as a family room. The two bedrooms on the main level, third bedroom in basement. Off street parking, New roof in 2004, New refrigerator in 2001, mini-blinds 2005, washer and dryer 2010, electric range 2006, new carpet in basement 2018. Freezer and basement refrigerator also stay. Basement mostly finished. Convenient to to EMU, VMRC and shopping. Just minutes from downtown and JMU. Sold "AS IS". Family estate. Owners have not lived there.